Holiday blowmolds continue to be a favorite of mine since you can always find a buyer for them. The popularity of old blowmolds is partly due to nostalgia. 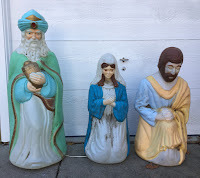 Boomers recall their childhood days when Santa and Nativity scene blowmolds were on many front yards in their neighborhood. Another reason for their popularity is scarcity. 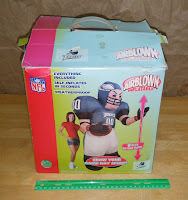 Full size blowmold figures just aren’t made any more. For these reasons, I always keep an eye out for them. Over the last year, I salvaged three separate figures that were being thrown out with the trash! In one case, the credit goes to my daughter, who found a Wiseman by the curb and rescued him before the trash truck came. After the rescue, she proudly texted me a hilarious picture of the Wiseman propped up in the back seat of her car. (As a proud parent, I must brag that I have taught her well!) Like my trash picking daughter, I too was also able to rescue a Mary and Joseph blowmold from the dreaded trashman. None of the three figures were in perfect condition, In fact, only Mary still had a working light bulb fixture, but those are easy fixes with a trip to the hardware store or Amazon search. I posted my three figures up on Craigslist for ten dollars each. After receiving several no-show inquiries on them, I finally sold all three to a husband and wife at a slightly discounted $25 dollars for all. Their plan was to re-assemble a complete set to display on their front yard. Talk about dedication...after leaving my house, the couple were heading off to another seller who lived over an hour away to buy yet another Wiseman! I was happy to help them achieve their goal of assembling a complete nativity set, but also relieved. I was beginning to worry I’d be stuck with these huge hunks of plastic for another year. Fortunately, that didn’t happen and instead of storing three huge blowmolds in my house, I am storing $25 dollars in my wallet! Moving on, I recently had what I like to call a “Quickie” flip. This is when I can score and flip something from the comfort of my home with very little effort or time. In this case, I was perusing our local Facebook yard sale group, when up popped a Fisher Price Santa Cottage. The set included Santa, his cottage and some additional figures. I was first in line to grab it, snagging the set for a twenty dollar bill. 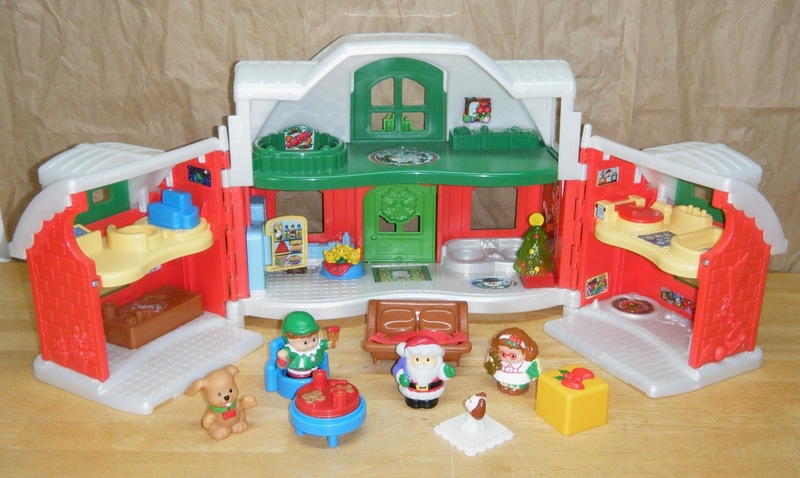 Some quick research determined that Fisher Price Santa Cottage sets were selling for very good money on eBay. After claiming the toy, I texted Mrs. Dude, who just so happened to be heading back from her favorite Target store (surprise, surprise). She was able to pick up the Santa Cottage on the way home. That same night, I posted the set on Ebay for a "Buy It Now" price of $60 dollars. Two days later, it sold. In just 48 hours, I turned twenty dollars into sixty....that’s why I call them “Quickie” flips! Here’s another pretty neat flip I made this season. Not so much because of what they sold for, but because of who bought them. 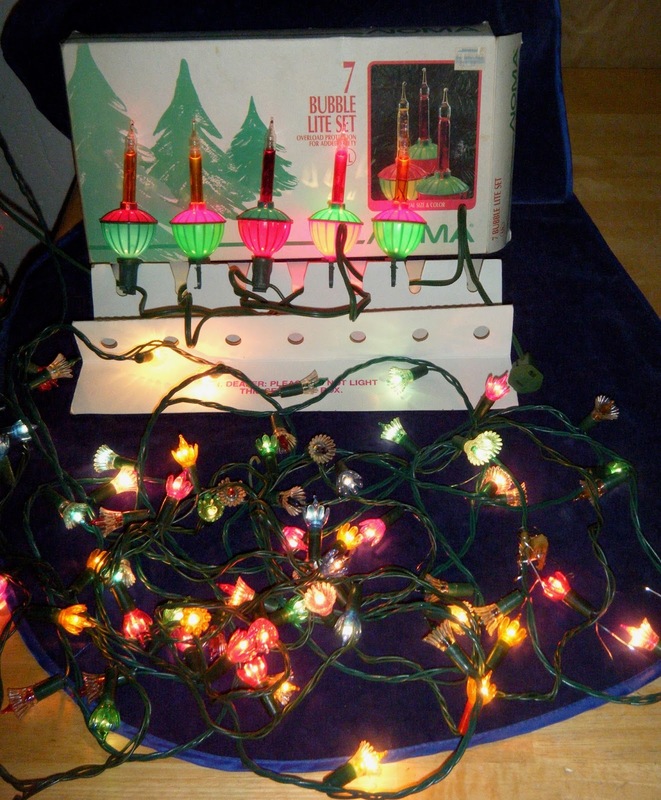 Check out the vintage Christmas lights consisting of a string of old “petal” style lights and a classic “Noma" bubble lights. The Noma lights came in the original box, but had two of the seven lights missing. This probably made them a little less attractive to buyers, since I tried selling these same lights last year with no success. Hoping to move them this year, I posted them on eBay in late November to get a head start. My strategy seemed to work. The lights sold for $25 dollars. Interestingly, I shipped them to the world famous "Tavern on the Green" Restaurant in New York City. I thought that was pretty cool. My lights are probably twinkling above the heads of restaurant patrons as they dine and enjoy the Christmas season in the Big Apple. The biggest sale of all! 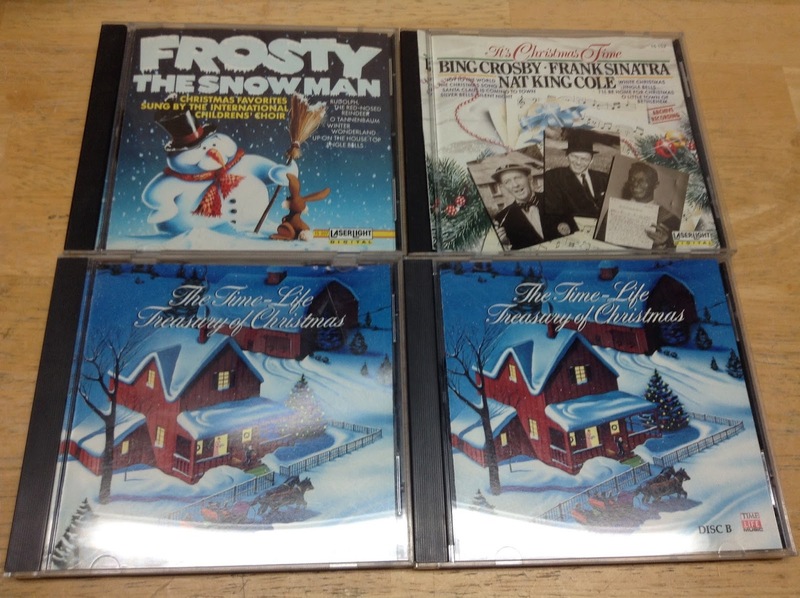 Lastly, one of my really big sales this season had to be the animated Christmas carousal seen here. When I mean big, I literally mean BIG! The box it came in was a monster, nearly filling the entire back bed of my truck. Also big was the price, costing me a whopping $80 bucks at the Goodwill Store. It wasn’t an easy decision, but I pulled the trigger after realizing this mechanical carousal retailed for over $200 dollars in the stores. After hauling the monster home, I knew I had to move it fast so as not to get stuck with it. 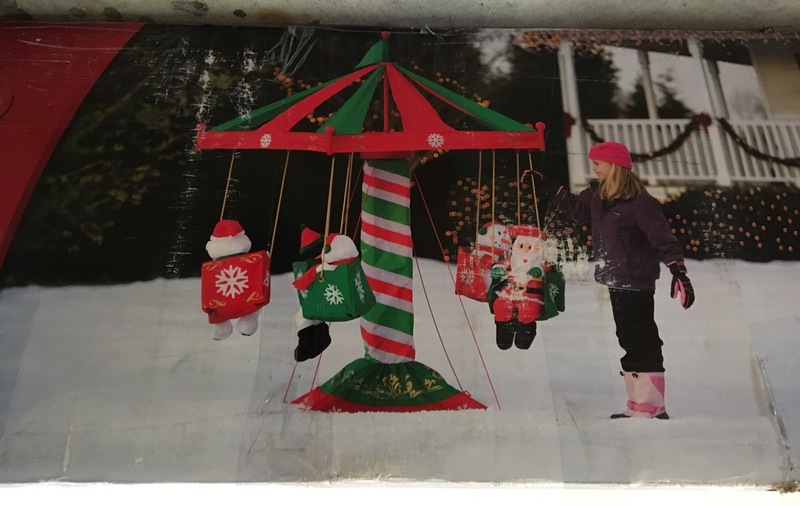 I assembled the carousal to take some pictures and immediately posted it on Craigslist for $150 dollars. After about a week of buyer nothingness, I dropped the price to $125. At that, a buyer contacted me and we agreed to meet at the local Dunkin Donuts for the sale. The guy was thrilled to buy the carousal, even telling me what a great deal I was giving him! Naturally I agreed, as I helped him jam the huge box into the back seat of his car. As he pulled away, I was $45 dollars richer and he left a very happy buyer. Those are few of my Christmas flips this year. Overall, I had pretty good holiday selling season. I hope you had some nice Christmas flips too. If you did, share a few in the comment section below. More importantly, I hope my blog gave you some ideas and helped you make some sweet flips this year. Here’s wishing you and yours, a Merry Christmas and a Happy New Year! When it comes to finding inventory at a yard sale or thrift shop store, some stuff can be an easy decision to buy. 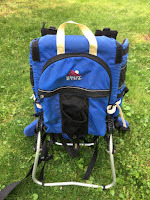 As seen in numerous past blog examples, whenever I come across stuff like Legos, American Girl Doll and Coleman camping gear, I can’t get the money out of my pocket fast enough! But then there’s times I find unusual stuff, causing me to scratch my head and wonder if it's something I can make any money on? It can be hard to decide whether to spend hard-earned money on stuff you never sold before, but in these thrift store examples, I made my money back and more! For example, a few years back I was rummaging through a local thrift shop when I found a box that contained what looked to me to be just a glorified dog collar. But this wasn’t any run-of-the-mill dog collar. In fact, it was a shock collar designed to train dogs, particularly hunting dogs. Using a hand-held transmitter, the collar emits a light shock activated by the owner when training the dog to do things like return and other skills. As I usually do when faced with a buy/no buy situation, I conducted a quick look up on eBay. 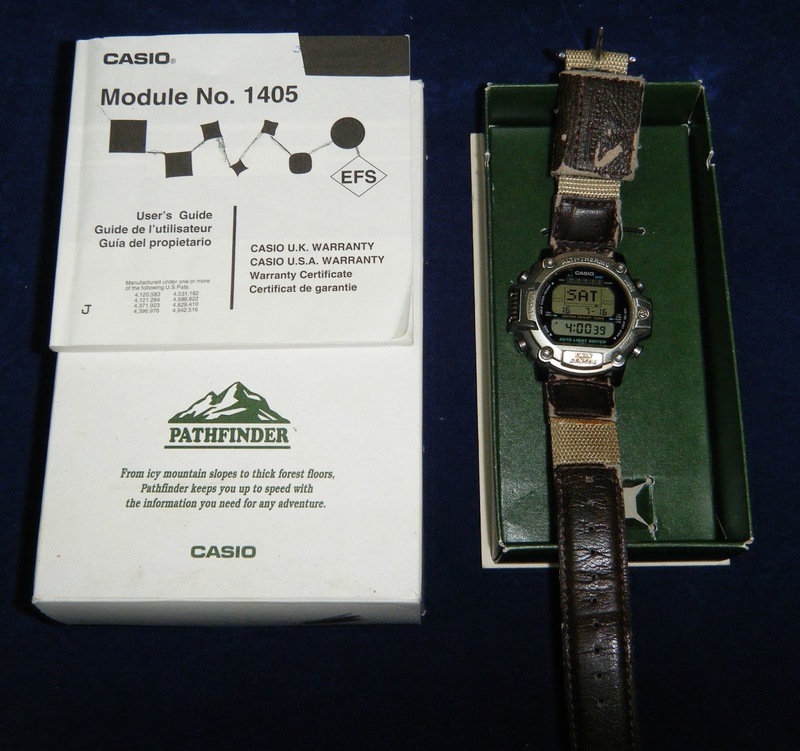 When I did, I saw these collars sell for serious cash, with retail prices going over $200. The thrift shop was only asking eight dollars for the collar, so while there was no way of knowing if it actually worked, I decided I could afford take a chance on it. Back home, I took some time to clean up the collar and the radio transmitter. Also a little more research on eBay gave me some encouraging news. Apparently, many hunters need multiple collars since they often have more then one dog with them out in the field. Learning this, I figured I could at least advertise the collar and transmitter as a spare. After gaining this rudimentary knowledge on the collar and transmitter, I posted them up on eBay. In the description I pushed the idea that the collar would be a great backup or “spare” if needed in the field. I guess whoever bought it agreed. 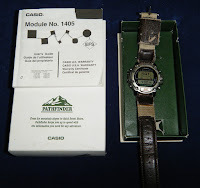 The collar and transmitter sold for a nice solid, $71 dollars. Not bad for something you don’t find every day. Hard to top that one in the unusual category, but I think I can. 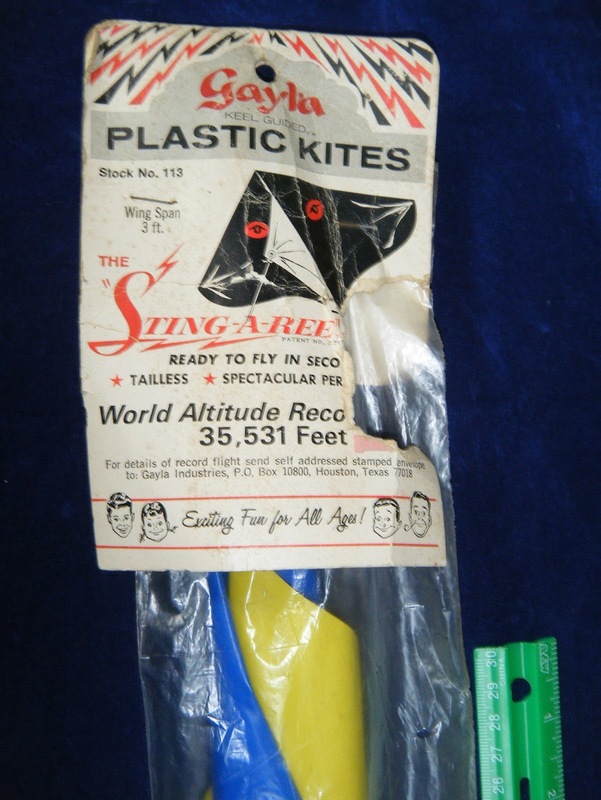 In the same thrift shop where I found the dog collar, I also came across a vintage “Sting-A-Ree” kite by Gayla. The kite was laying in the corner of the shop, unnoticed by most shoppers. Judging from the cardboard label attached to the top of the plastic wrapper, it looked to be from around the Sixties or Seventies era. And talk about a time capsule...the kite had never been opened! Although the Gayla kites came in all different cool styles and colors, this particular kite was fairly basic in blue and yellow. You might also assume Stingray kites have been around forever, but I remember it differently. Growing up in the Sixties, there were basically two kinds of kites: box kites and the triangular kites with the tail. Both kites had one thing in common-they were a pain in the @#* to fly! These "old school” kites spent most of the time spinning in circles, then violently crashing to the ground! But then along came the “Stingray” style kite. A cool, modern kite that even the most uncoordinated kid (like me) could easily fly! Hoping that a few collectors would have the same fond memories as I did, I forked over a whole two dollars for the vintage kite. With this complete and untouched kite being so unusual, I couldn’t wait to test out the kite collector's market on eBay. To borrow a Star Wars reference, I discovered the force is strong in the kite market! 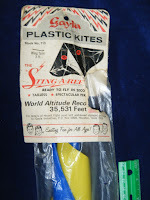 In a seven day auction, my Sixties era kite topped out at $202 dollars! An awesome sale. In fact, anytime I am in that same thrift shop, I always glance into that corner hoping to somehow find another $200 dollar kite! (Sigh)....maybe some day. How about you? 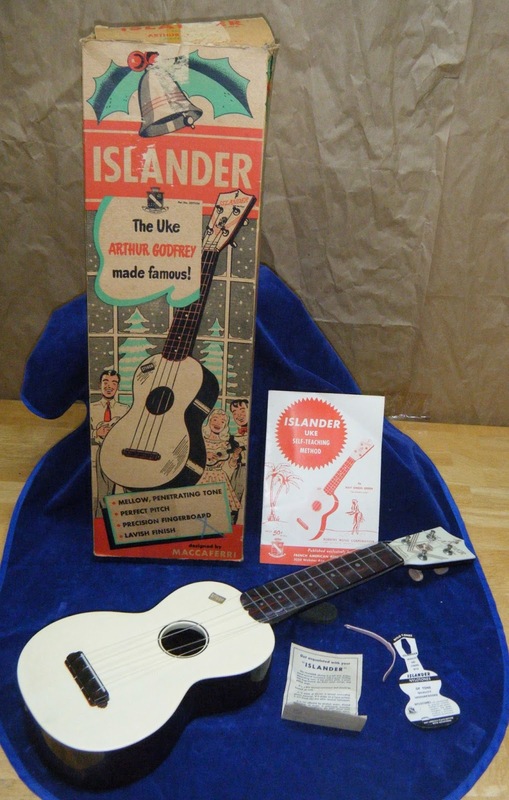 Whether it’s an old kite, a dog collar, a ukulele or any other unusual stuff. Tell us what you flipped in the comment section below. As October arrives, I am starting to get psyched up for holiday finds and flips. The season really begins with Halloween. To kick it off with a bang, I currently have several Halloween inflatables up for sale on Craigslist. 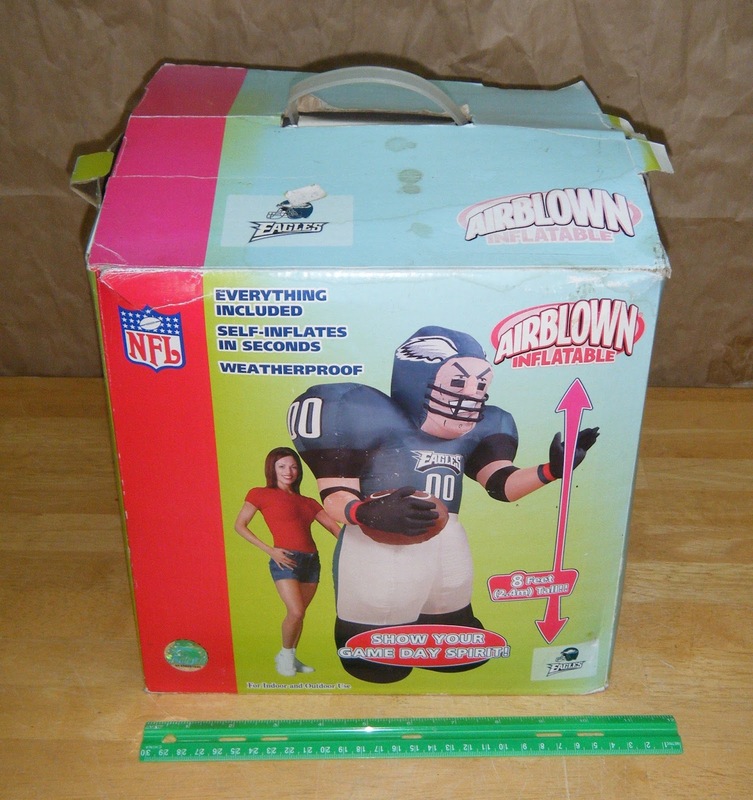 It’s also football season, so in the last few weeks I’ve bought and sold a couple of football themed inflatables. Obviously this time of year is the exact right time to begin holiday themed sales. But I'll admit...I got a bit of a head start. 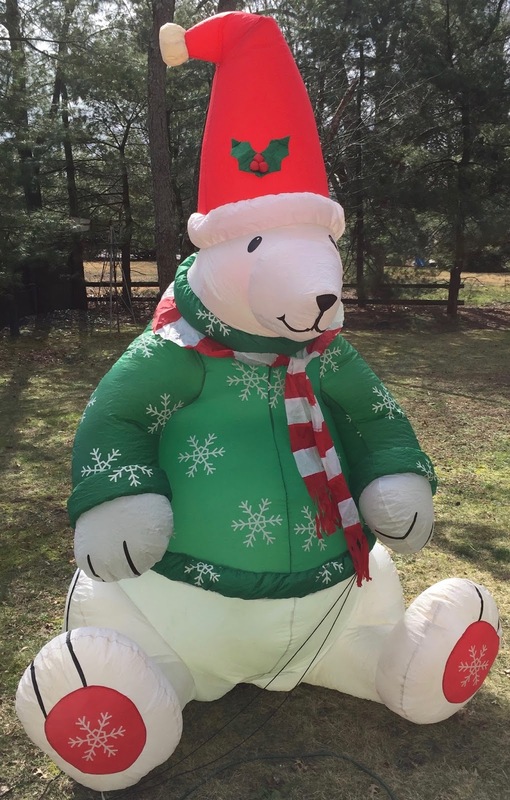 Back in the summer, I scored a Christmas themed polar bear on my local Facebook yard sale group. The seller was asking only five dollars! This polar bear was huge, measuring eight feet tall. 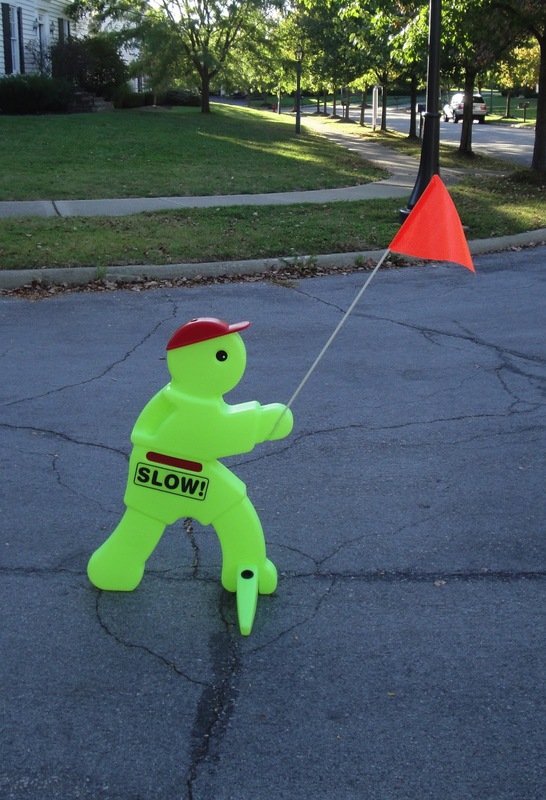 The rule of thumb with inflatables is this; the taller they are, the more money they sell for. Normally, I would have waited until the holidays to flip this big guy, but I got itchy, so he was posted on Ebay in July. This was right around the time QVC had their annual "Christmas in July" sale. It sounds crazy, but I really do think those QVC promotions prompt buyers to run to eBay and start shopping for Christmas. It did for my polar bear. He sold for $45 dollars...in the middle of summer! 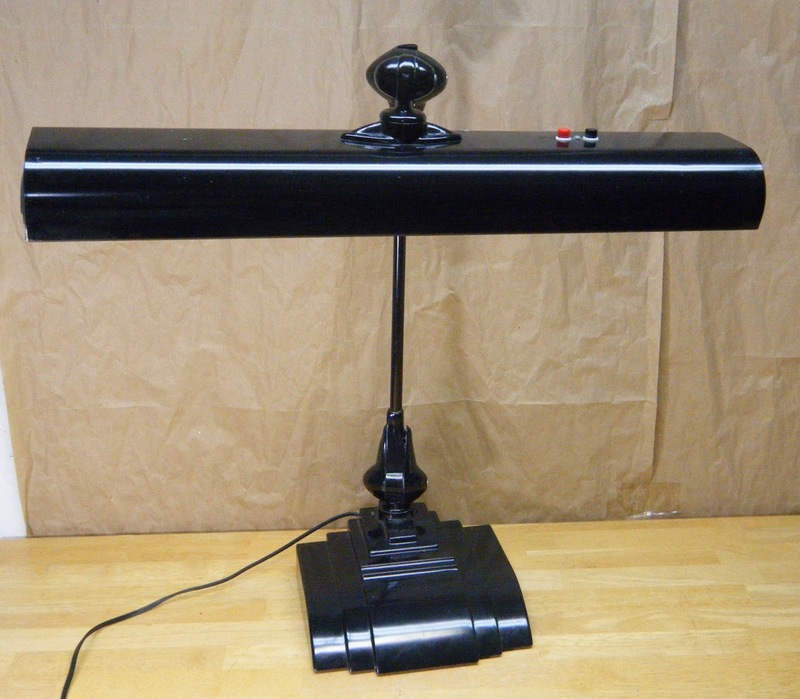 Flexo table lamp, Of course it works! Hopefully that flip was a sign of solid holiday sales to come. In the meantime, let’s take a look at some non-holiday finds and flips. Up first is this very heavy-duty, articulated lamp made by Flexo. I found this contraption in the driveway of a local yard sale back in the summer. The sale was hosted by a long-married couple looking to clean house. When I asked the lady the price on the lamp, she quoted me five dollars. She then felt the need to add, “Oh, it works.” Hearing this, her husband, who was lugging household items down the driveway, proceeded to bark at his wife, "Of course it works. I wouldn't put it out here if it didn’t!” As he continued to grumble a little more, I leaned over to check out the lamp. At only five bucks, buying this vintage piece was a no-brainer. I knew there was easy money to be made. I handed Mr. Grumpy a five dollar bill and picked up the light. When I did, I nearly threw my back out! The weighted base was as heavy as a bowling ball! I struggled with a two-handed grip on the base, slowly limping down to my truck while being careful not to drop it on my foot. 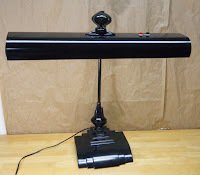 A few days later, I wrestled with the lamp again for a photo shoot, taking pictures of it from all angles and positions. The light then went up for sale on Craigslist under the title; "Vintage Flexo Articulating Drafting Industrial Light.” That got the attention of a young hipster, who agreed to pay me $60 dollars for the lamp. 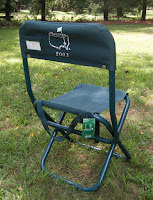 I managed to make $55 dollars on the deal and not throw my back out...a good day for me! Keeping with the industrial theme, here’s a beautiful wood stool I picked up at yard sale not long ago. When you're talking the industrial look, usually that means an item with all metal construction. If it has some dirt and grime on it, all the better! 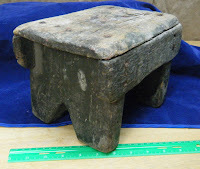 While this stool was mostly made of oak, it still had a grimy, metal under chassis in keeping with the industrial feel. The seller was yet another “downsizer" who was cleaning house in order to move South. Ironically, I am also attempting to clean house for an eventual move. More then once during this current yard sale season, Mrs. Dude has sternly cautioned me to keep the big size purchases down to a minimum. 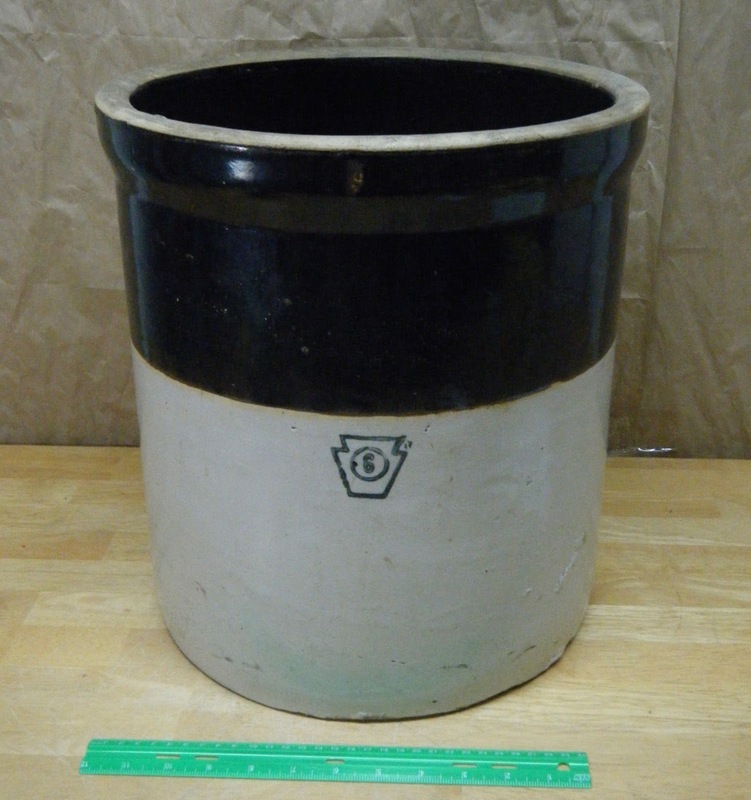 But at two bucks, how could I say no to a vintage industrial style stool? Naturally, I could not! The seller got his two bucks and once again, I awkwardly carried a prized treasure back to my truck. Much to Mrs. Dude's annoyance, I stored the oak stool in our dining room. This unused room sometimes serves as a weigh station for big purchases that I figure will sell quickly. After all, why haul something down to the MoneyintheGarage secret bunker, when it will be brought right back up again? Secondly, how often do you use a dining room anyway? We eat at the kitchen table! The dining room is used only for holiday feasts, and with Thanksgiving dinner months away, I had plenty of time to move the stool. Mrs. Dude wasn’t really buying into this theory, but I actually wasn’t too far off. The oak stool hung around for about three weeks. 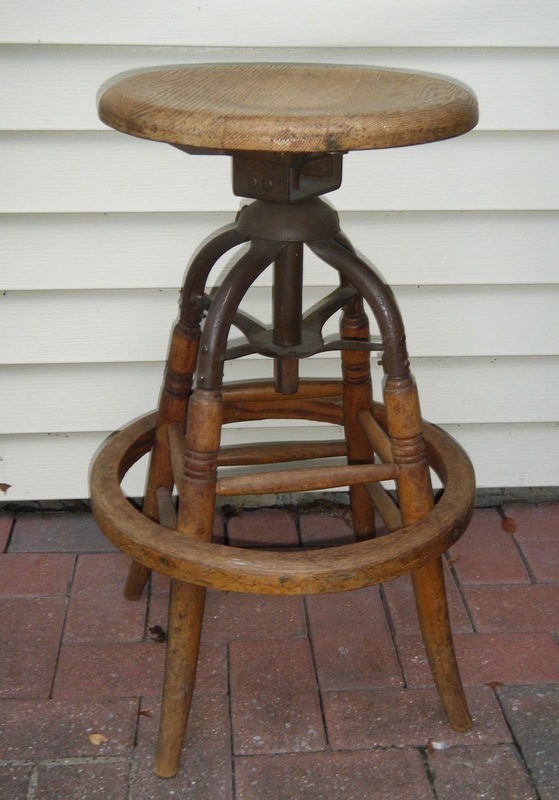 I listed it on Craigslist using hot buzzwords like; "Vintage Industrial Draftsman Stool" and "Shabby Chic.” I assured a skeptical Mrs. Dude that with this kind of masterful marketing, the stool would surely not be around around the dining room for very long! Sure enough, on a beautiful Sunday afternoon in August, I met a buyer at the local post office. He paid me $75 big ones for the old stool. Not bad money for a three week stay in our dining room! Have you had some good industrial style flips? Let’s hear about them in the comment section below. Enjoy the fall yard sale season! I rolled up to a yard sale being held by a 30-ish guy who’s father had recently passed away. The son told me he had traveled up from his Florida home to settle his Dad’s estate. This was the reason for the yard sale. Like the missed shortwave radio, an earlier visit to his sale probably would have netted me some pretty sweet finds. 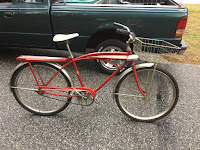 However, there was still a vintage bike left for sale. 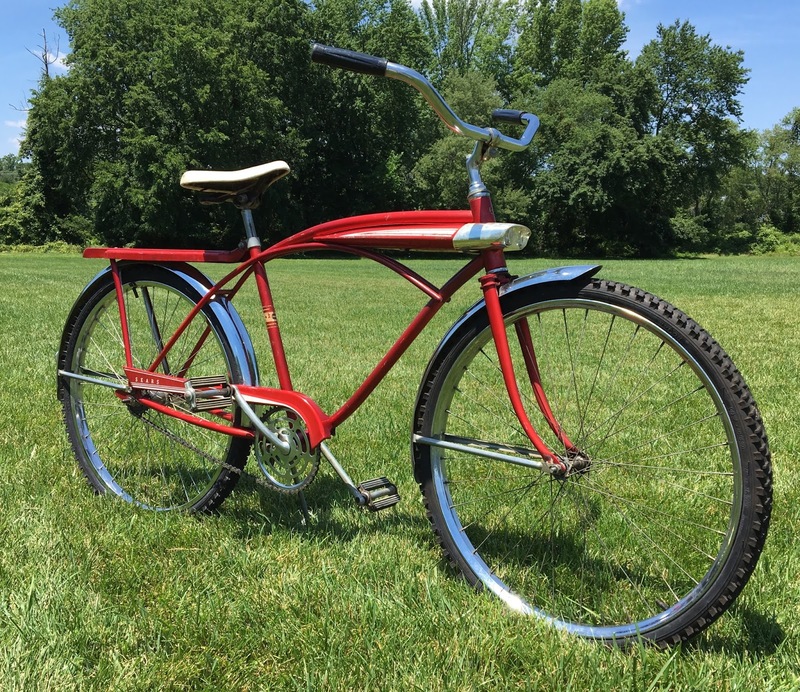 The bike was from Sears and dated back to the mid-Sixties. Although it had some surface rust and was dirty, it was was still in decent shape for it’s age. The son explained his Dad was the original owner. In fact, dangling from the handlebars was a string envelope containing the Sears warranty and paperwork to prove it. With nothing much left at the sale for me to buy, I decided this overlooked bike could turn out to be a decent score. After a little back and forth with the son, I bought the bike for twenty bucks and headed home. When you’ve been at this game as long as I have, you develop a few “clients” who can be easy go-to buyers. One of my clients is a guy named Tony-a retiree who likes to restore and flip old bikes. Tony is a great guy and really knows his stuff when it comes to vintage bikes. Once I got the bike home, I immediately texted him to see if he’d be interested in buying it. It took a few hours for Tony to get back to me, but by late afternoon he was pulling up to my house to check out the bike. Slowly walking up my driveway, he apologized for not responding to my text right away. He explained he’d been enjoying a nice, mid-afternoon power nap. Now fully refreshed, Tony gave my bike his professional evaluation. Right off the bat, he told me he was not a buyer. He sheepishly admitted that at the behest of his wife, he was not looking to add any more bikes to his extensive inventory. Instead, he suggested I clean up the bike myself and flip it. He gave me a few tips, suggesting I remove the basket from the handlebars and clean up all the chrome with some steel wool (SOS). With his encouragement, I agreed to give it a shot. We shook hands and Tony reminded me to send him pictures once I had cleaned the bike up. pulled out the garden hose and went to work on the bike. After applying the SOS steel wool pad to the rims and handlebars, the old bike’s chrome began to shine. I then stole dishwashing liquid off of Mrs. Dude’s kitchen sink to gently wash the bike frame. In less then an hour I had the bike sparkling! With some extra effort and time, I could have even applied some car wax to the bike frame. But it was pretty hot outside, so I decided to pass on the extra work involved with a “Wax-on...Wax-off” process. Besides, the bike was looking good with just an hour of effort. I texted a few photos of my handiwork to Tony and he agreed! The bike was now ready for re-sale. I then rode the bike over to a local school field for a photo shoot. It was beautiful sunny day and the photos of the now-cleaned up bike really popped against the green grass and blue sky! 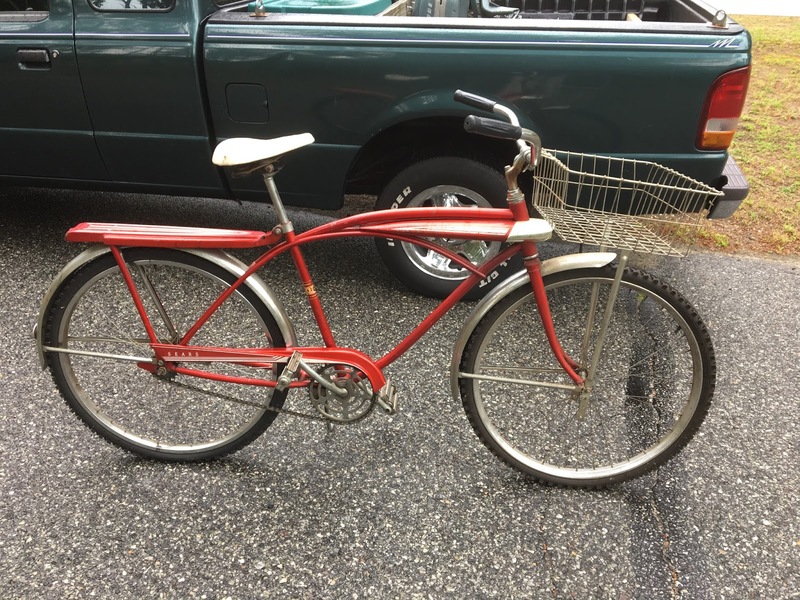 Excited to see how my restoration would do, I posted the bike on Craigslist for $125 dollars. Two days later, I had a buyer in my driveway admiring the old bike. After some negotiating, I agreed to take $100 bucks for the bike. While I was hoping to get more, I always believe in the old "a bird in the hand is better then two in the bush” adage. But my profits were not limited to the bike sale alone! I later sold the original metal basket for five bucks on Facebook. Lastly, the original bike warranty papers are on target to net me around $30 dollars on eBay! Taken together, I made over a $100 dollar profit and brought a dusty old bike back to life! That’s what makes this business so much fun! And since we’re on the subject of bikes, here’s one I flipped a few years ago. I bought this ugly duckling at Goodwill for six dollars a few years ago. Not exactly on the level of a Schwinn, or even a Sears, this bike was a some sort of no-name brand. But it caught my eye, and at only six bills, how could I pass it up? Back then, I was not into cleaning up bikes for re-sale. In fact, short of sand blasting, I doubt there was much I could have done to get this old clunker to shine. So it went on Craigslist “as-is”. But as ugly as it was, the old bike did find a home. A gentleman offered me fifty bucks for it with one condition-that I deliver it to his house. Since I am always up for a drive, I tossed the bike into my truck and rolled it right up to the guy’s doorstep! He handed me fifty big ones....not a bad profit for a six dollar investment! How’s your sales going? Flip any bikes or other modes of transportation for fun and profits? Share your story in the comment section below! How to make big bucks on Facebook. Lego: Buy on FaceBook... sell on eBay. Followers of my blog know I am a big fan of Lego sets. Whether it's Harry Potter, Star Wars or other themed-based sets, it's rare that I don’t make pretty good money flipping Legos. 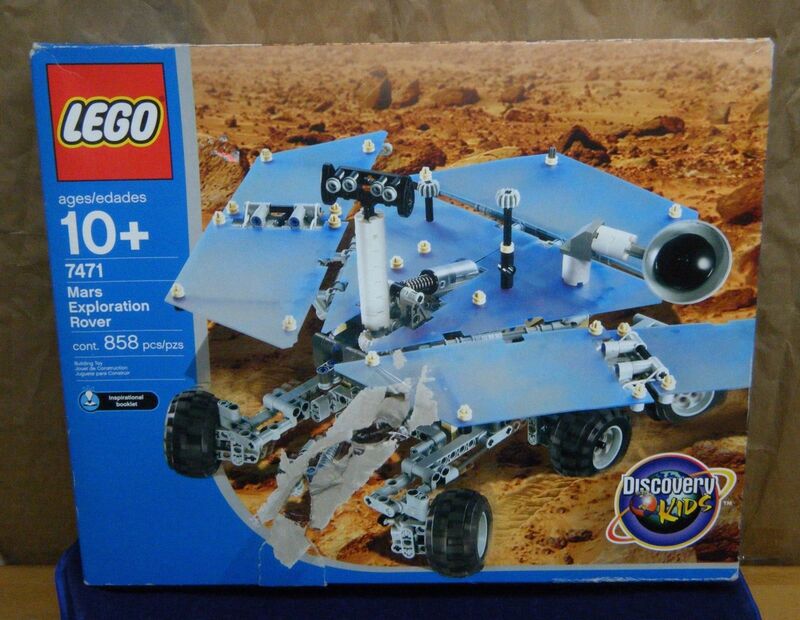 A few months ago, I came across an unassembled "Mars Explorer” set on Facebook. Being ever vigilant on FB, I was the first to click “interested” and paid $25 dollars for the set. Obviously, it’s always best to try to be the first person to claim an item on FB. However, even if you’re not first, type “interested"and wait in line. Whether you're second, third or even dead last, occasionally people in front of you will pass, giving you a chance to claim the item. In the meantime, once you’ve claimed your spot in line, you can research the item on eBay to check it’s value. If you learn it’s not a big money maker, you can always tell the seller you’re passing on it. 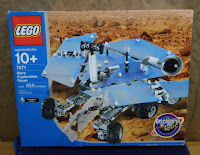 In the case of my Lego Mars Explorer, there was no need to pass. Although the seller was asking a hefty sum of $25 bucks, my eBay research told me I could easily double or triple my investment. After picking up the set from the Facebook seller, I posted it on eBay. It sold in a seven day auction for $95 dollars. That earned me a profit of $70! Not bad...not bad at all. 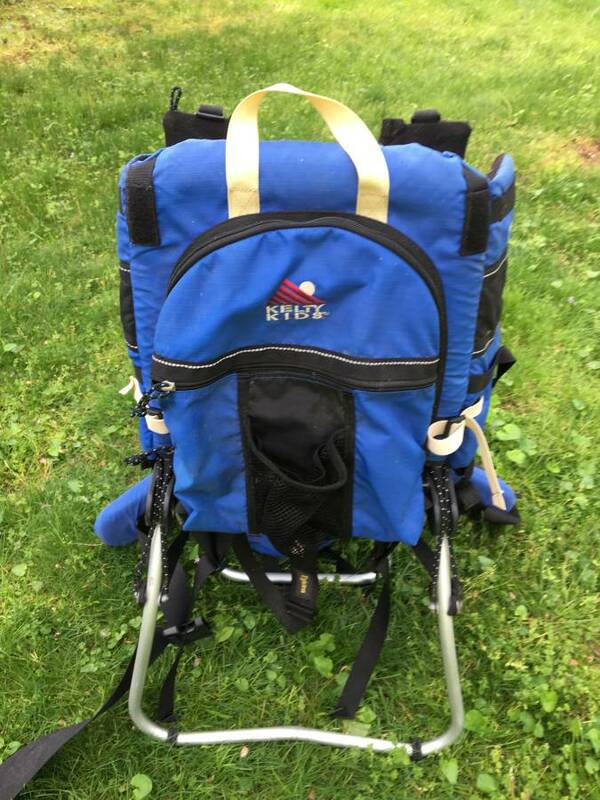 FB yard sale group for $100 bucks. If you think that's a little pricey, normally I would agree with you, but not when it comes to a Bose radio. Pound for pound, Bose Wave radios are recognized by audio fans as a quality piece of equipment that blasts out incredible sound for it’s small size. New, these bad boys sell for around $400 or more! 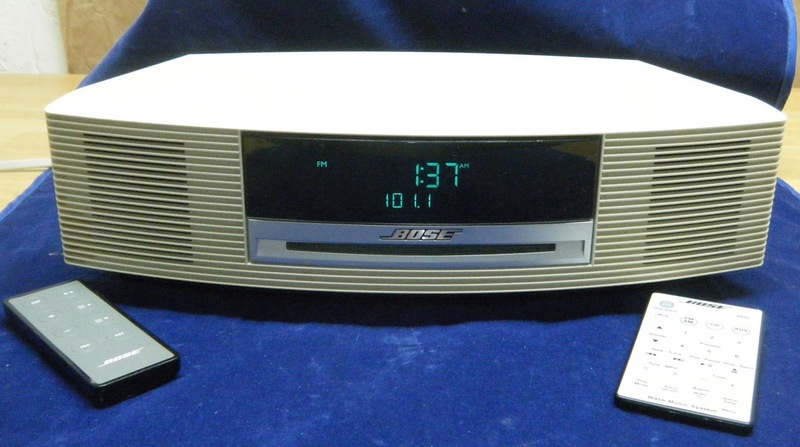 Because of this, I knew I'd have no problem re-selling this Bose on eBay. Once I acquired the radio, I found it was a little older then I originally thought. It also needed some cleaning up. But not to worry, a few squirts of Windex and I had the Bose Wave ready for resale on eBay. I started the auction for exactly what I paid - one Benjamin. The auction proved Bose radios attract plenty of interest. Over the seven days, bidders pushed my radio up to a final selling price of a $160 big ones! An easy FB flip if ever there was one. But hold on, I can do one better then that! 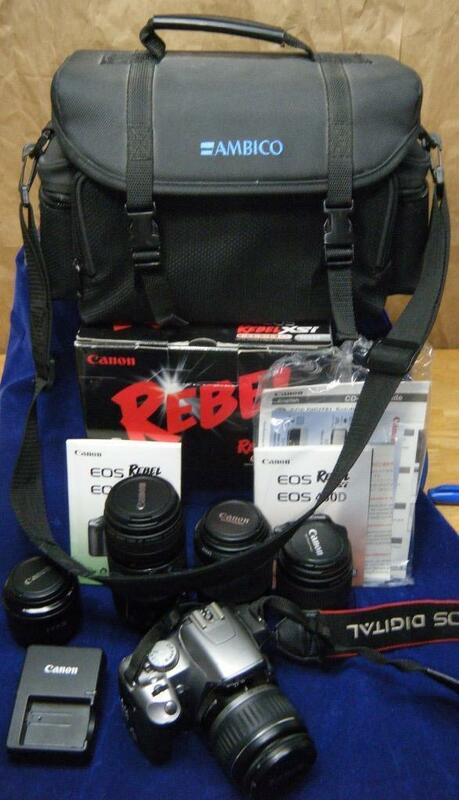 What would you pay for a nice Canon “Rebel" 35 mm digital camera set, complete with four extra lens and a carrying bag? How’s about fifty bucks? That’s what I shelled out on this very nice Facebook yard sale group score. This particular deal required a little more effort on my part. The seller was located the next town over from me and required a night time porch pick up. With Mrs. Dude driving and me riding shotgun, we headed to the house on one of those cold, nasty, December nights. It was the kind of miserable weather that makes me understand why people flee to Florida in the winter. Once we arrived at the house, I leaped out of the car and made a mad dash for the front porch while the cold wind pummeled my face! After leaving fifty dollars under the seller's doormat, I bolted back to the car, took a quick peak inside the camera bag to make sure it was all there, then tossed it into the backseat of the car. I didn’t sell the camera right away. At the time, the holidays were right around the corner and I already had plenty of things to sell. In fact, I nearly forgot about the camera and lenses until about a month ago when I finally decided it was time to flip it on eBay. In all honesty, something about selling big, multiple-piece lots can bring out the lazy in me. I tend to procrastinate on selling big lots on eBay due to the extra work involved. But knowing that there could be a serious pot of gold at the end of the sale, I got down to business. Extracting the Canon Rebel camera and all the lenses from the bag, I carefully laid everything out for some eBay photos. This included multiple views of all the lenses to show none were scratched or dinged. After this painstaking photo shoot, I posted the entire lot to a ten day auction on Ebay. The results should teach me to be a little more motivated next time. The Canon Rebel camera lot sold for $207 dollars on eBay! The buyer was located on the West Coast, and after receiving the camera, he couldn’t post positive feedback fast enough. I love it when I make big time money and the buyer thanks me for it on eBay! With that kind of money at stake, next time I get a camera lot I’ll be sure post the stuff on eBay lickety-split! As good as all these FB scores were, I have one last deal that tops them all. In this case, the credit has to actually go to Mrs. Dude, who scooped up this incredible deal on Facebook. Back in the Fall, she was the first to claim a pair of embroidered Uggs boots on our local FB yard sale group. If you ask me, with colors of brown, black or white suede, most Uggs are pretty much all the same. Not this pair though. 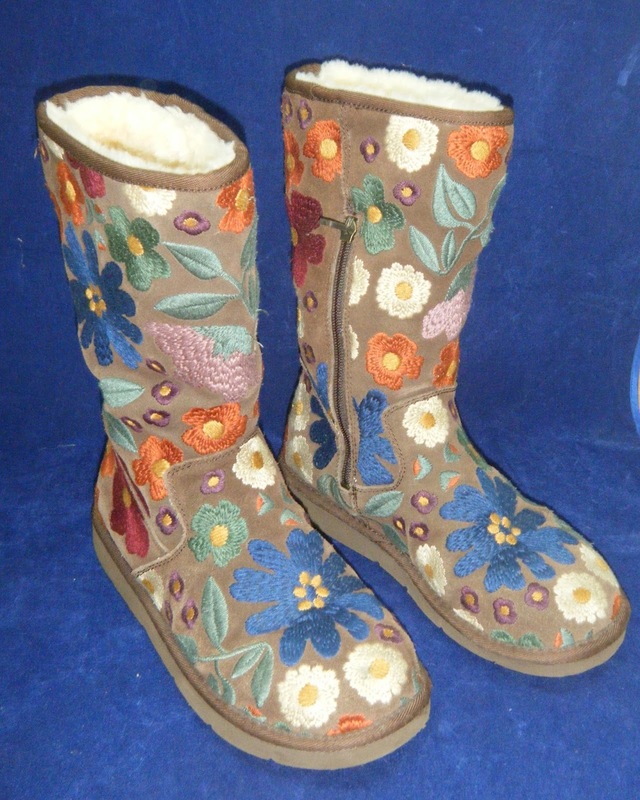 The Uggs Mrs. Dude found were decorated with a fancy embroidered floral pattern running up and down the suede boot. Apparently, these were not your run-of-the-mill Uggs. They can also be expensive. Recognizing this, Mrs. Dude snapped the boots up for an insanely low price of $25 dollars! Initially, I was completely oblivious as to how great a score these Uggs actually were. 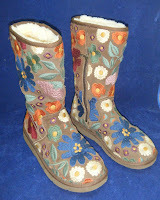 That was until Mrs. Dude educated me, pointing out embroidered Ugg boots sell for around $300 dollars in the stores! Hearing this, I couldn’t wait to see what Mrs. Dude’s boots would bring on eBay. I eagerly posted them to an eBay auction and a week later, they sold for a sweet $175 dollars. Thanks to Mrs. Dude's fashion sense and a quick click of the mouse, we made an impressive profit of $150 big dollars on the boots! That’s a few great examples of what can be done using Facebook yard sale groups. 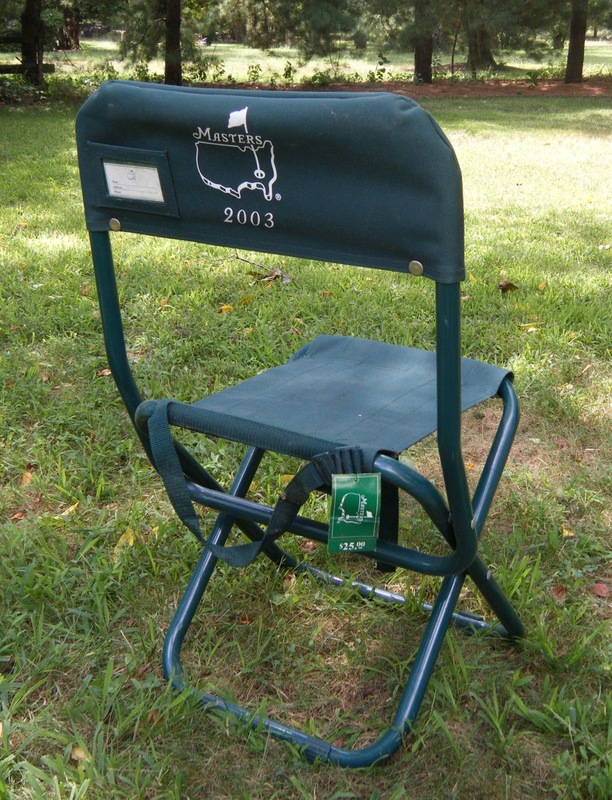 Everyone loves to read about a good eBay flip story, right? If you use Facebook to score eBay inventory, share a few of your flips in the comment section below!